What is genuinely troubling was the way in which Robert Levinson's fate has been kept largely secret. The Iranian authorities have never revealed who captured him, who currently holds him, what charges have been laid against him, or even if he is still alive. And no effort has been made to negotiate his release, set a prison term, or work by the rules of international intelligence or diplomacy. An Iranian revolutionary court charged Nazanin Zaghari-Ratcliffe, without the slightest evidence, of "plotting to topple the Iranian regime". This was done in a trial without a defence lawyer, without any details of her "offence", and ended in a sentence to five years in prison. Iran has the sixth highest number of prisoners in the world, although it comes only nineteenth in the size of its population. In 2011, there were 250,000 prisoners overall, a figure that dropped by 2014 to 225,624 -- still a very high figure. Even North Korea -- which has a vast range of political prison camps, forced labour camps, and other facilities, albeit with a small overall population -- has fewer: the U.S. State Department human rights report for 2016 says that estimates of the prison population total range between 80,000 and 120,000. Several foreign nationals and Iranians with dual nationality were detained in Tehran's Evin Prison with little or no access to their families, lawyers and consular officials. These prisoners were sentenced to long prison terms on vague charges such as "collaborating with a hostile government" after grossly unfair trials before Revolutionary Courts. The authorities accused the prisoners of being involved in a foreign-orchestrated "infiltration project" pursuing the "soft overthrow" of Iran. In reality, the convictions appeared to stem from their peaceful exercise of the rights to freedom of expression and association. People such as these are not more innocent than the great numbers of men and women who have been and remain in Iran's dungeons or raised to the regime's gallows in private and in public. But their cases testify to the frustration and often powerlessness of the various governments to whom they call for help. The precarious situation for foreign and dual nationality individuals in Iran may grow even riskier given that the US Congress voted on October 26 for the re-imposition of sanctions on Iran under the Iran Ballistic Missiles and International Sanctions Enforcement Act. The Act "calls on the U.S. president to report to Congress on the Iranian and international supply chain for Iran's ballistic missile program and to impose sanctions on Iranian government or foreign entities that support it." If it becomes law, it is expected that US allies will follow suit. Moreover, should President Trump succeed in decertifying the Iran Nuclear Deal (JCPOA), as he intends to do and should do, the Iranian regime will become jittery, setting up yet further risks for internal dissidents and foreigners in the Republic. The White House is demanding the release of all Americans currently being held in Iran and says President Donald Trump is "prepared to impose new and serious" consequences on the country if they are not released and returned. A statement released by the White House Friday [July 21] said the Trump administration is "redoubling" its efforts to bring home Americans "unjustly detained" abroad. The list of those unjustly detained by Iran and denied consular or other access is fairly long. One of the longest in captivity is American Robert Levinson (now aged 69 if he is still alive), originally a 28-year veteran of the Drug Enforcement Administration and the FBI. 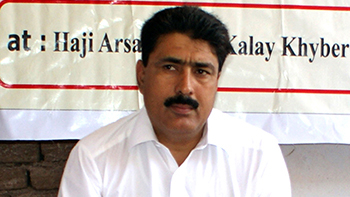 He was captured on March 9, 2007 on Kish Island, an Iranian free-trade zone in the Persian Gulf. Some years later, it was revealed that he had been working in a private capacity for the CIA. He could legitimately have been arrested as an enemy spy. Intelligence agencies are well aware that there is always a risk of capture or death for operatives in the field, so Levinson's apprehension by an unnamed Iranian government security organization may be put down to the hazards of such work. Levinson's mission had been unorthodox and he had never carried out work related to Iran. Just another spy story, perhaps. What is genuinely troubling was the way in which Robert Levinson's fate was kept largely secret. The Iranian authorities have never revealed who captured him, who currently holds him, what charges have been laid against him, or even if he is still alive. And no effort has been made to negotiate his release, set a prison term, or work by the rules of international intelligence or diplomacy. Iran also broke every rule governing diplomatic understanding when in 1979 student revolutionaries took over 60 employees of the US embassy in Tehran captive and held 52 of them hostage for 444 days, creating problems within the US political system. On November 5, the Iranian government publicly celebrated the takeover of the embassy while burning American and Israeli flags, chanting marg bar Amrika and marg bar Esra'il, "death to America" and "death to Israel'. Iran is one of several countries that do not allow dual citizenship. This has meant that several people with genuine Iranian citizenship coupled with equally valid American or British citizenship, when they are detained in Iran, are treated (or, rather, mistreated) as Iranian nationals with no right to access the help of their second citizen embassy (if one exists) or consulate. There is currently no US embassy in Tehran (American affairs are being handled through the Swiss embassy or the online US Virtual Embassy), which means that any Americans or American-Iranians arrested and imprisoned (usually in Tehran's notorious Evin Prison) are unable to receive the sort of intercessionary and legal representation prisoners abroad might normally expect under international rules of legal and diplomatic representation. In this respect, Iran again stands out as a rogue state. There is no room here for a full discussion of the many cases that have occurred or are still occurring, but it is worth mentioning several names and their stories. Last year, for example, a Canadian-Iranian professor of social anthropology, Homa Hoodfar, was arrested while carrying out fieldwork in Iran, something she had done before. Formally arrested in June on charges of "dabbling in feminism and security matters", for three months she was subjected to no fewer than thirty interrogations with death threats; forced to sleep in a bare cell in Evin; hospitalized with a lung infection, and finally released. Her Canadian nationality may have aided in that. Years before, however, another Iranian-Canadian woman, Zahra Kazemi, a 58-year-old photojournalist, was arrested in 2003 when covering a demonstration in Tehran. She was sent to Evin, raped, tortured and savagely beaten into a coma. She died in Baghiatollah Hospital four days later. The examining doctor's description of her injuries makes gruesome reading. The Canadian Embassy was only contacted early the following month. Although an inquiry was held and some of her injuries admitted to, no one was found responsible, nor has anyone been convicted of her death. One of the most sickening current cases of an imprisoned woman with dual nationality is that of Nazanin Zaghari-Ratcliffe, a British-Iranian project manager with the Thomson Reuters Foundation, the Canadian news agency Thomson Reuters's charitable arm. She lived in West Hampstead, near London, with her British husband Richard, an accountant. In 2014, they had a daughter, Gabriella, and in March 2016 she took her child to Iran in order to visit her parents (who had not yet seen their granddaughter). As Nazanin and Gabriella prepared to board a flight back to London in April, Revolutionary Guards arrested her. The child has since been in the care of her grandparents. In September 2016 an Iranian revolutionary court charged her, without the slightest evidence, of "plotting to topple the Iranian regime". This was done in a trial without a defence lawyer, without any details of her "offence", and ended in a sentence to five years in prison. In Evin prison, she has suffered serious physical and mental problems. On several occasions, the United Nations demanded -- without success -- that she be released. Back in England, her husband has carried on a campaign, receiving little help from the British Foreign Office. But on October 8, he was informed that a second trial had been held, in the course of which his wife had been sentenced to an additional sixteen years in prison. If she survives this period, which seems unlikely, she will be 58 years old, in wretched health and psychologically broken. It took until November 1 this year before the British Foreign Secretary, Boris Johnson, finally agreed to make an official protest about the partisan imprisonment of one of his own citizens. There is a British embassy in Tehran, re-opened in 2015, four years after it was stormed by Iranian protesters. Even if the US is "the great Satan" and Israel "the smaller Satan", Britain has long been considered a source of interference in Iranian politics. 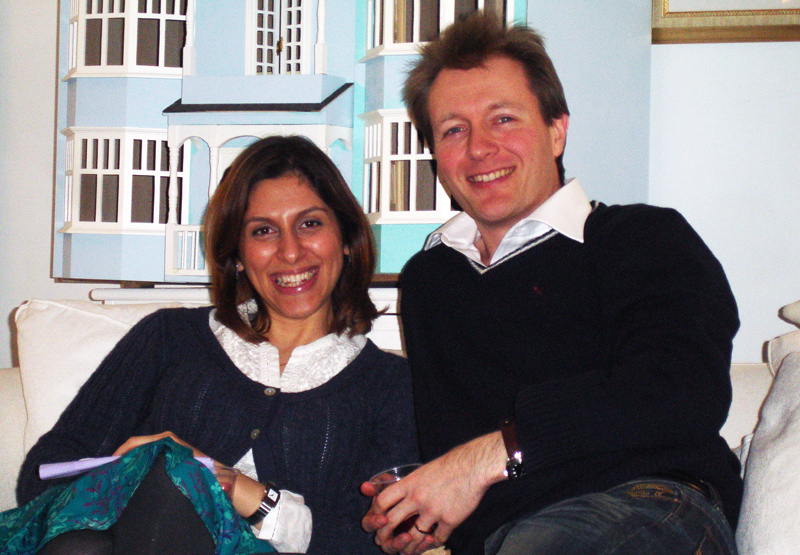 Whether negotiations through the embassy will lead to Nazanin's release is very hard to say. But her case cries out for justice. Unfortunately, Boris Johnson recently made things harder for Nazanin when, referring to her case, he made a serious gaffe, claiming she had gone to Iran to teach journalism. This was taken by the Iranian authorities as proof of their charges of espionage. That led to calls from many parties for Johnson's resignation. Johnson has since apologized and stated to parliament that she had, in fact, just gone there on holiday. He has now met (after 18 months) with Richard Ratcliffe, who asked to accompany Johnson on a forthcoming visit to Iran. Some have suggested that Nazanin be given diplomatic protection, but the Foreign Office says it fears an Iranian reaction. On November 16, however, the Times reported that Iranian media believe that a possible payment of £450 million owed from an unfulfilled arms deal, and which Johnson is due to discuss during his diplomatic visit, is intended as a bribe to free Nazanin. Meanwhile, she now fears she may have breast cancer and is reported to be nearing a nervous breakdown. One of the few cases in which dual-nationality prisoners have been released was in response to a $400 million bribe, hours before the activation of the Joint Comprehensive Plan of Action (JCPOA) under the Obama administration, on January 16, 2016. Four prisoners, all Iranian-Americans, were released and flown back to the United States on that date, despite serious charges laid against them. They were: Jason Rezaian, a journalist working for the Washington Post, who suffered "irreparable harm" from "torture and other cruel treatment" during his 18-month confinement; Saeed Abedini, a Christian pastor imprisoned in 2012 for "threatening Iranian security" by holding religious gatherings; former Marine Corps infantryman Amir Hekmati, jailed for "colluding with foreign governments", who has just received a judgement from a US court saying Iran must pay him $63.5 million dollars; and former Iranian infantryman Nosratollah Khosravi-Roodsari, a man shrouded in mystery who elected to remain in Iran. Last year, Iran's supreme leader, Ayatollah Ali Khamenei, warned against "an infiltration" from outside into the country's political system. Since then, "infliltration" [sic] has become a code word for those accused by the authorities of having links with the west. A string of dual nationals, mostly with additional Iranian nationality, have been accused of being part of the so-called infiltration network. The criminal Islamic regime should release Nazanin Zaghari-Ratcliffe and the Chinese-American student, Xiyue Wang, sentenced in July this year to ten years in jail as "an infiltrating American agent". Wang, in his fourth year of a PhD in history at Princeton University, had gone to Iran to carry out research on nineteenth-century Iran -- scarcely a controversial period. Recording materials, accessing archives, and seeking entry to libraries are simply routine activities of academic researchers -- the present author did all these things, including work in a secret archive, on a nineteenth-century topic -- in Tehran many years ago and has lived to tell the tale. Wang is not even a dual-nationality Iranian-American; he only has American citizenship. In August, Iran was put on a long-overdue travel advisory list. I will not go. You should not go. No one should go. Denis MacEoin carried out research on a 19th-century Iranian religious minority in Iran while conducting his doctoral studies (Cambridge, 1979). A petition has been set up for the release of Xiyue Wang. See details and sign here. Another exists for the release of Nazanin Zaghari-Ratcliffe, here. This is to be expected. Anyone who travels to Iran, North Korea, or any of the numerous other countries run by tyrannical regimes should know that they are subject to being arrested, imprisoned, tortured, killed, held for ransom, etc., for any reason, or no reason. All foreigners are assumed to be spies, and an accusation of any sort of activity that's not approved of is all that's necessary for them to inflict whatever punishment they choose. People should know better than to travel to such places, and the effort (usually wasted) of trying to extract them would be better spent toward removing the regimes that operate in this fashion. The Iranian government (or any of the others that operate in similar ways) isn't going to change its behavior, the kind of government will have to be changed. (1) Should they have undoubtedly heeded the travel advisories of their governments and embassies and "treated those countries like highly controversial topics" and "not have gone there?" (2) Considering how there may or may be no guarantee that any diplomatic efforts in getting those people freed if they were wrongfully imprisoned would prove successful, wouldn't the diplomatic support going to such individuals be better spent on "people who were clamoring for the right to change their country's governments by means of BALLOTS rather than BULLETS" for one would imagine that attempting to bring about democracy to countries like Iran even by peaceful means such as Western countries supporting pro - democracy movements would even do more good for those countries and the world than just attempting to free a few of "their nationals"would ever do. (2) No such tyrannical regime will be voted out of power. If they have elections, it's only because they can control them. In most instances, only candidates approved by the regime are allowed to participate, but if an anti-regime candidate somehow got on the ballot (Venezuela has had a few such examples), they simply wouldn't be allowed to win. Stalin once said something to the effect that who votes is of no consequence, only who counts the votes. These regimes can only be removed by force, and only by outside force, as long as their army, police, security services, etc. remain loyal -- they will kill as many as necessary to crush any rebellion.